Porto is a city on the rise, with young travellers choosing the northern city over Lisbon due to its quieter nature and cheaper price tag. It’s not known for its hipster neighbourhoods and painfully cool coffee shops, but instead for its pretty old town, exceptional wine bars, plethora of rooftops and some of the best independent restaurants in Europe. It represents traditional Portuguese life at its finest, with local spirit underpinning every facet of the city. 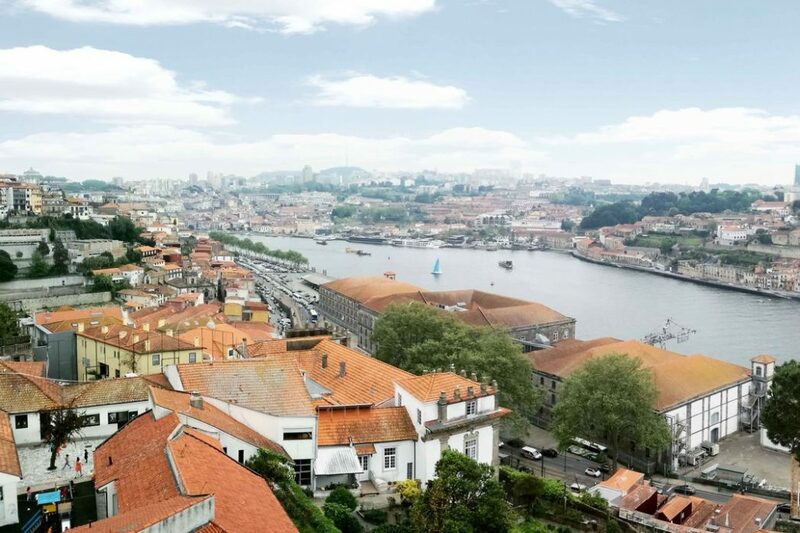 The rambling cobbled streets of the old town comprise the heart of the city and pours down onto the Douro River, with Vila Nova de Gaia across the water, home of the Port houses. Exploring by foot is the easiest way to see the city and allows for slow, easy days. What drew me to Porto, however, was not something that usually spurs my travel curiosity: food. Porto has been hailed as Portugal’s best food city, and its coastal location is largely to thank for that. Whether its modern fare or traditional dishes that you’re hungry for, there’s a restaurant for all tastes in Porto. Having fallen in love with Lisbon a summer previous and now that TAP Air operate more regular flights to the city, I decided to take the advice of my peers and visit the city that’s been said to be Europe’s next foodie haven. A boutique hotel permeated with Portuguese character and flair, Hotel Torel Avantgarde celebrates Portuguese identity through art works in each room, right down to the restaurant’s food and wine. 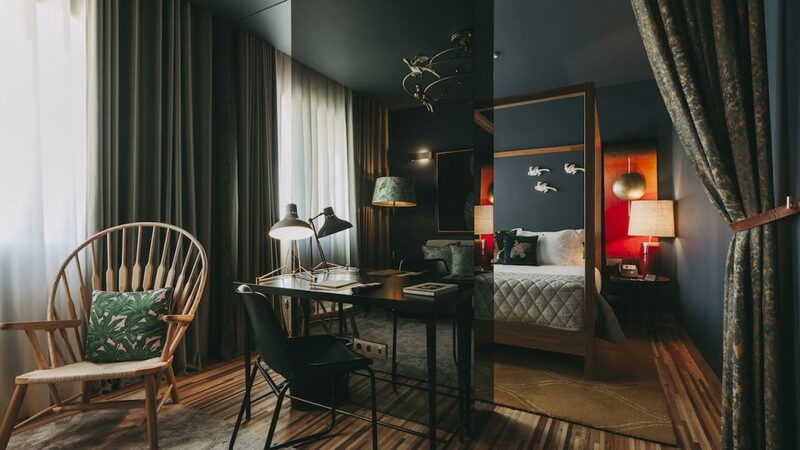 Strikingly designed, the 47-room hotel, a short 10-minute walk from the city’s main square, puts an emphasis on bold colours and accents, making it truly stand out among neighbouring peers. Each room is dedicated to a writer, designer, painter or musician and decorated to mirror their personal style and work; notably, each element of the rooms, from the wooden floors to the bespoke lighting is designed and made in Portugal. I had the pleasure of residing in the Frida Kahlo room–an Instagrammer’s dream! 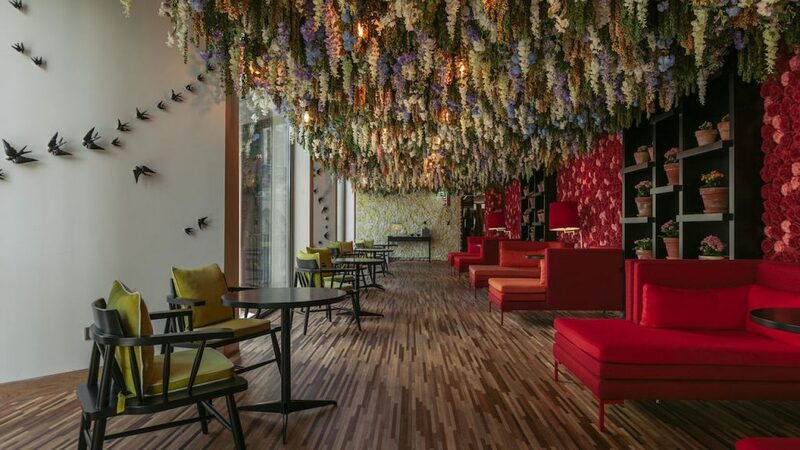 The public areas consist of a lavish bar with darkened surfaces and a lounge area entirely covered in artificial flowers. Guests are welcomed to enjoy their welcome drink of the terrace where there are unrivalled views across the river towards Gaia. Digby, the hotel’s restaurant offers a cuisine with a fundamentally contemporary soul where the flavors of Portuguese gastronomy prevail with ingredients of quality and, above all, of National origin – all while overlooking the city beneath. Similar views can be soaked up beneath the terrace at the poolside after an afternoon in the hotel’s luxury spa, where there’s an actual live moss wall to contribute to the calming and natural aura of the spa facilities. The two words that make up the name of this place say a lot about the ambience, history and people that make it come alive: world and ‘delicatessen’. 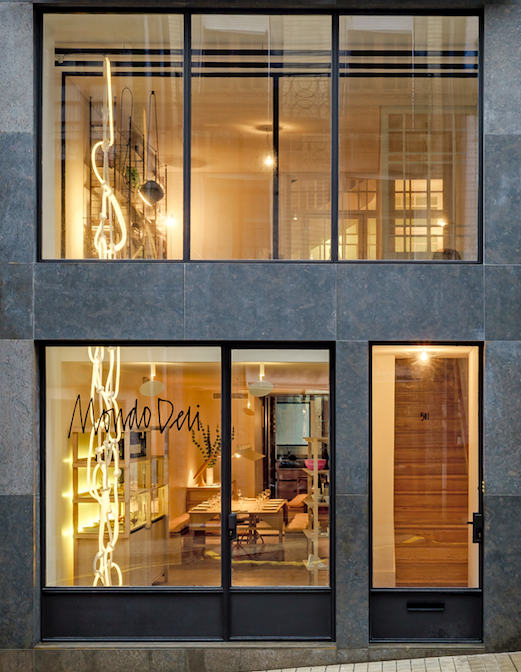 Open since March 2016, Mondo Deli is the common project of two Germans, Marcus Zietz and Christian Haas, who fell in love with Porto and made the city their home. Marcus, a fashion editor with a penchant for cooking, and Christian, an industrial designer, joined forces to create a restaurant and shop. The first floor of Rua do Almada 501 is now home to Studio Christian Haas, where the designer and his team designed the furniture found in the restaurant. The restaurant isn’t stuffy, but like walking into a friend’s apartment, where perfectly-styled interior design meets a warm welcome, offering an invitation for social gathering. Sit in the main dining room and watch Head Chef Catarina Garcias design mouth-watering dishes, or on the terrace amid a lush garden of foliage. 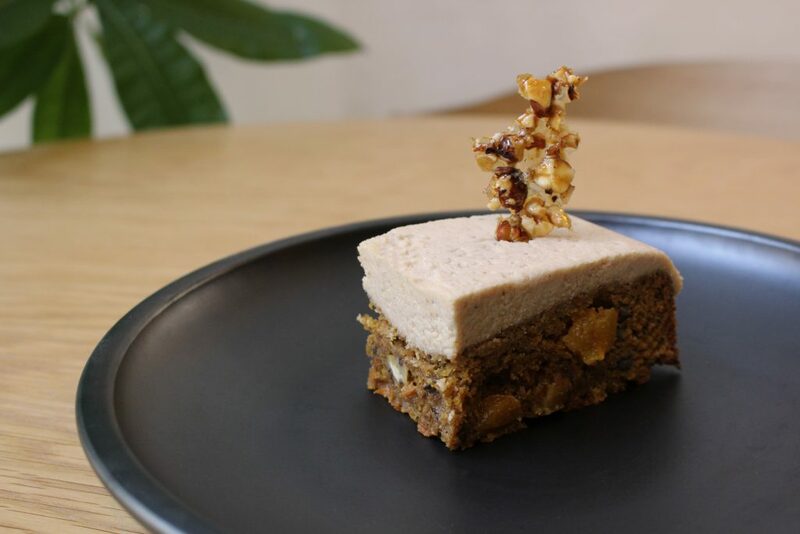 The menu changes with the seasons in line with ingredients availability and reflect Catarina’s preferred flavours, many of them with Asian or Middle Eastern influencers. 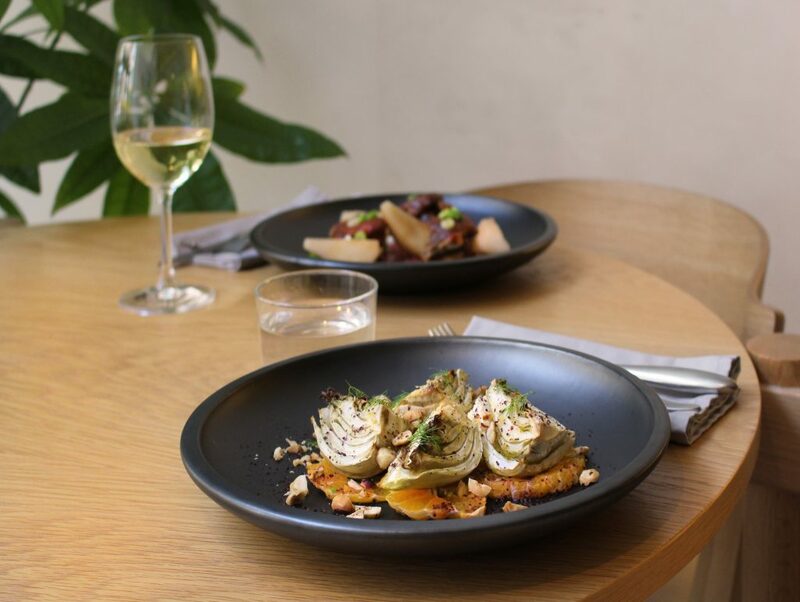 The exclusively Portuguese wine list is exceptional, and the ever-accommodating staff will go the extra mile to recommend their personal favourite pairing per dish. 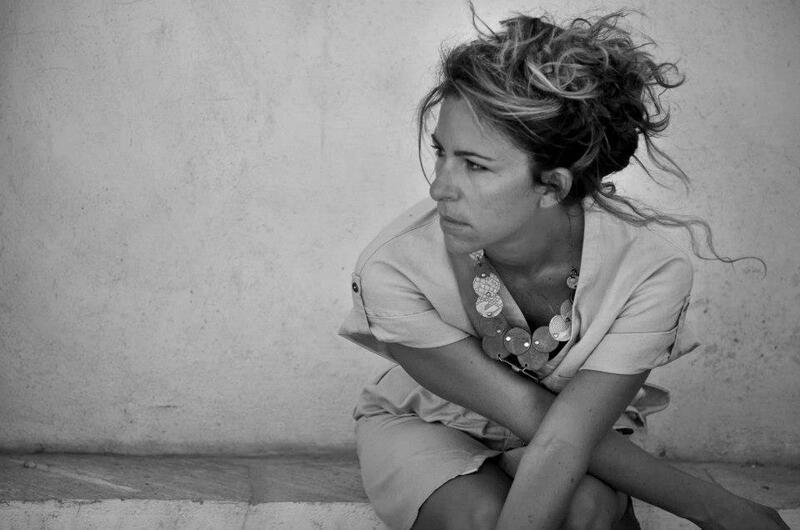 This is an experience not to be missed when in Porto! 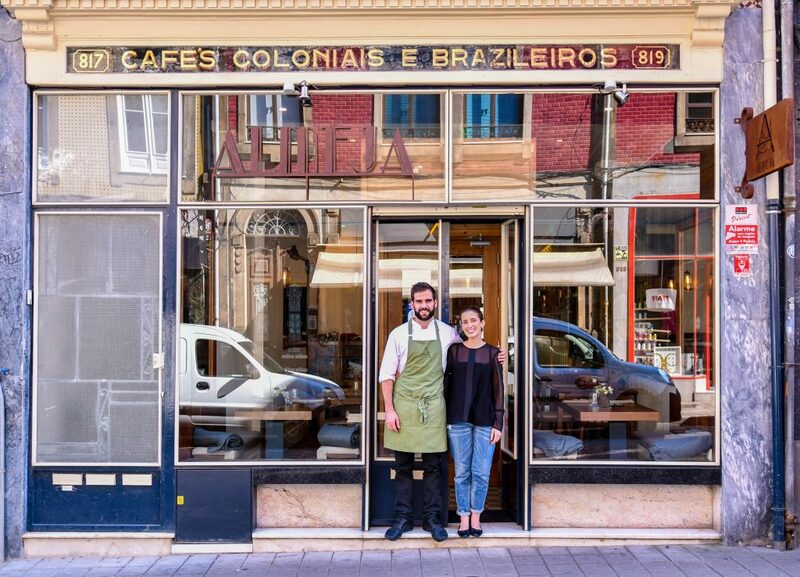 In November 2017, the restaurant Almeja, a family project run by the couple Sofia Amaral Gomes, the host who receives guests at the door, and João Cura, the head chef, opened in downtown Porto. Together, they form the perfect duo at an eatery which respects Portuguese seasonal produce through technique and experience. 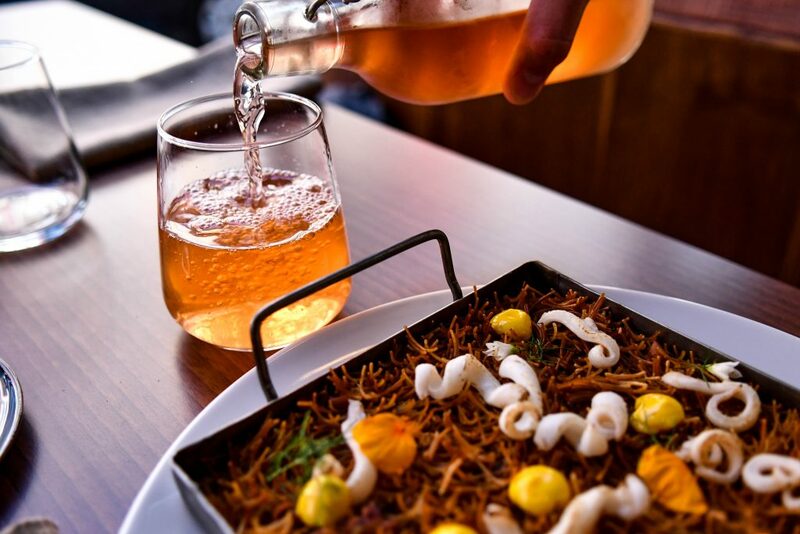 Despite being a casual fine-dining restaurant, the initial part of a meal at Almeja still features hot towels, which help to prepare the hands and spirit for what awaits. 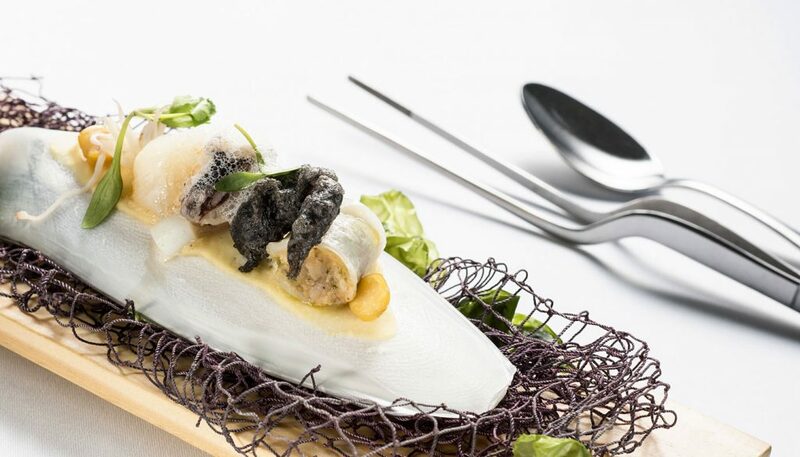 João always serves an amuse bouche, whether you order the tasting menu or à la carte. This may consist of a small snack of fried salt cod tripe with black garlic, a madeleine of sausage with apple gel or a divine tartelette made of rice flour and filled with aromatic pea mayonnaise, beetroot and pistachio crumble and radish pickle. After this adventure in small flavour explosions, the essential couvert arrives at the table: homemade slowly-fermented bread made with natural yeast, homemade butter and a little liquid gold: Angélica olive oil from Moura. Then, the menu expresses itself with a freedom only limited by seasonal produce or suppliers with whom João likes to work. Most produce is Portuguese and can come from any part of the country! 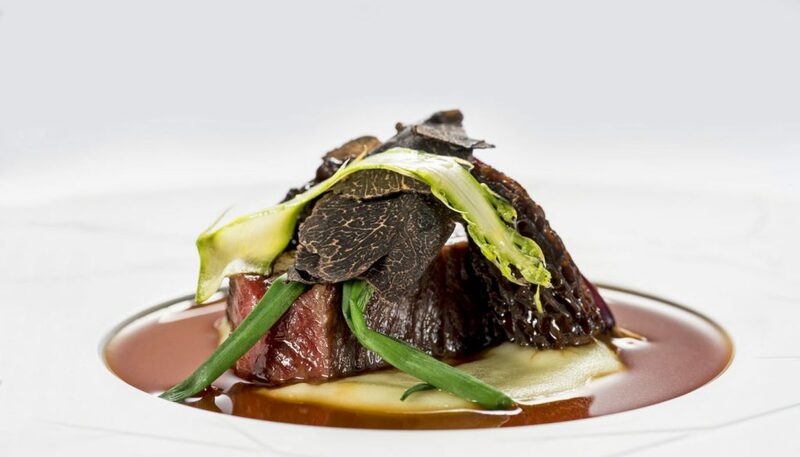 The Yeatman Hotel is known for its luxury spa, where guests can have treatments using wine, but its gastronomic restaurant is another aspect of the hotel that draws crowds from all over Portugal, as it’s the only restaurant in Porto to hold two Michelin stars. 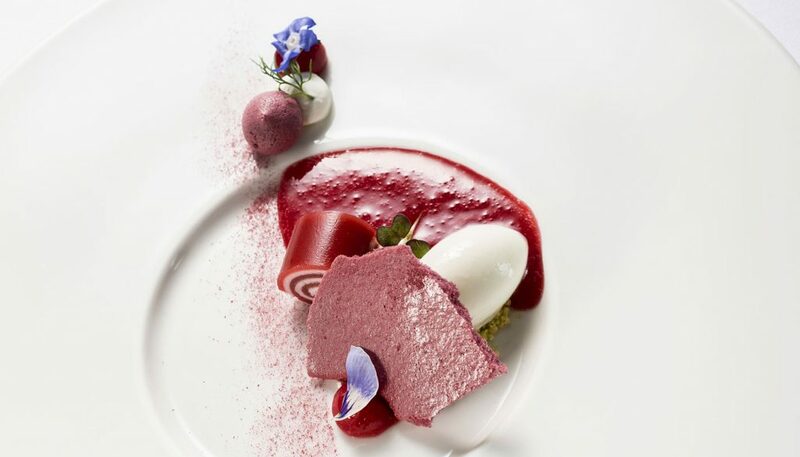 Aiming to deliver Porto’s most inspiring dining experience, The Yeatman’s Restaurant led by Chef Ricardo Costa, offers imaginative cuisine in which the traditional flavours of Portugal are interpreted and presented with contemporary flair. It showcases Portugal’s huge range of fish and other fresh produce as well as its diversity of regional specialities. 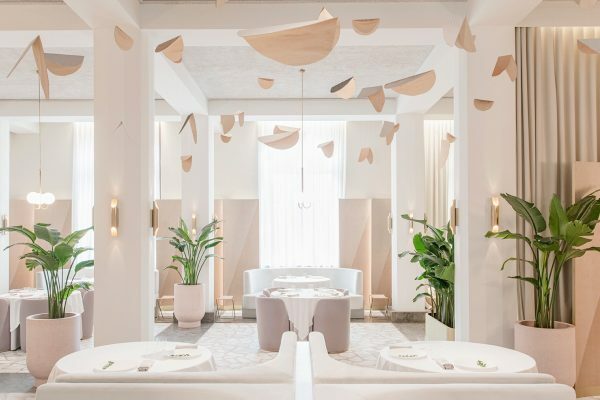 Dishes include amberjack ceviche with spicy avocado sauce, kumquat, and lime foam, among other mind-blowing dishes on the constantly changing tasting menu. Listing a comprehensive choice of Portuguese wines, as well as a wide selection from other great vineyards around the globe, the gastronomic restaurant makes a special feature of food and wine pairing. 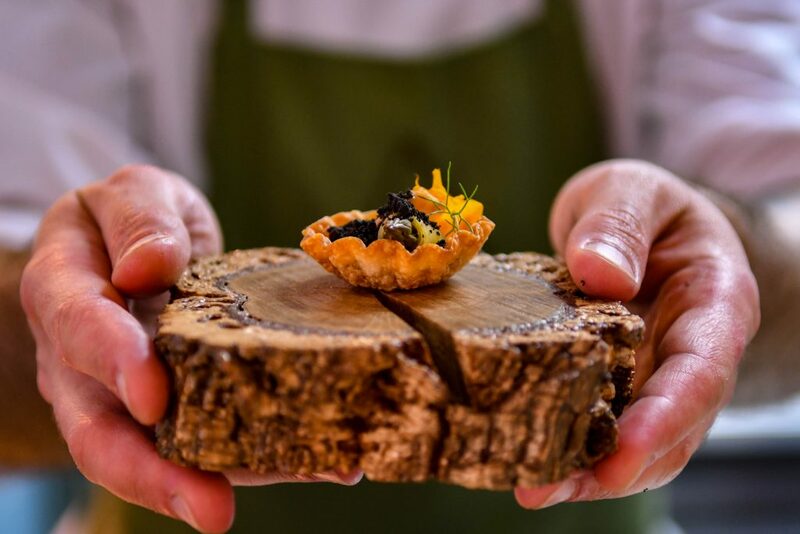 A programme of tasting menus allows guests to discover a wealth of matching and contrasting flavours as they are taken on a journey through Portugal’s diverse and varied wine regions. 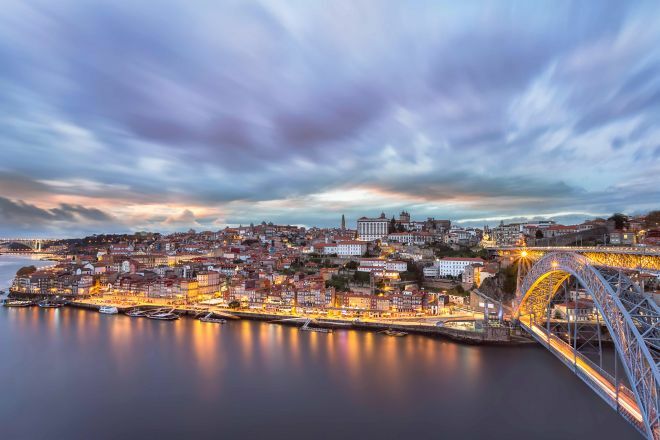 All of this is accompanied by the extraordinary panorama of the River Douro and the historic centre of Porto, guaranteeing guests a spectacular evening of dining. Porto isn’t all fresh seafood and great wine, there’s a dirty dish that’s perfect for those of us who enjoy a little something naughty from time to time. For this we give you Francesinha, Porto’s most famous sandwich. Porto’s version of a croque monsieur, the Francesinha (meaning “little Frenchie” in Portuguese), is made up of layered cured ham, smoked sausage seasoned with garlic and paprika, chipolata, roast meat and smothered in melted cheese before being drenched in a tomato and beer sauce. Sounds like a heart attack, right? The no-frills Café Santiago is the best place in Porto to get your Francesinha fix. Don’t let yourself down in front of the locals who pack this spot out at the weekend; make sure to avoid a speciality Portuguese wine with your Francesinha, as the Portuguese drink beer with this dirty delight. In Porto there’s a huge emphasis on putting the personal back into dining, encouraging people to come together with strangers and share their dining experience alongside a few friendly quips. Chef Luís Américo was one of the first chefs to implement this dining style in the city when he launched Forneria, a pizzeria with no cutlery that encourages people to eat with their hands and share their food. He later translated this style to his more upmarket offering, Cantina 32. Here the tables are long with space for groups of friends or strangers who may well become friends by the end of their meal. The concrete walls and vintage armchairs give the restaurant a relaxed and unimposing atmosphere, therefore putting a focus on the food and conversation. A multitude of creative dishes are available, many of which are divided as ‘proposals for two people who are not very hungry’ or ‘suggestions for two people who are starving’. Gin lovers will delight at the incredible 150+ range of gins on offer at the aptly named bar, The Gin House. Staff use their love of gin and spirit knowledge to mix heady libations within the dimly lit lounge. Whether it’s fruity, fresh or herby cocktails you’re after, The Gin House has a concoction to awaken even the most trained gin palette. Beware the fishbowl-sized glasses! 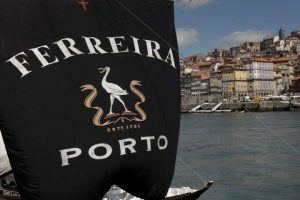 There’s no shortage of Port cellars in Porto, but the historic Ferreira Cellars is one of the best places to try Port in the city, especially for a first-timer. Production spanning more than two centuries, the wine is sold globally, but there’s nothing quite like tasting the slightly sweet, white, ruby or tawny blends in their 260-year-old cellar. Book yourself on a tour for information on the Douro region, production process and a historical glimpse into the Ferreira family’s matriarch while trying their incredible range of port wines.